We were delighted to play a part in the refurbishment of the Bray Boxing Club, where our famous Olympic Champion Katie Taylor trains. Coy Katie — who won a gold medal at the London Olympics in 2012 — said her new knockout gym at Bray Harbour is a far cry from the “tin shed” she trained in before her many sporting successes. There was no toilet facilities, no showers, so we feel privileged now I think. We have heat now too, where beforehand you kind of dreaded coming down training because you knew how cold it was going to be. Now we have the best of everything, and while it’s not going to make you a better boxer, it is going to make training easier. P Mac was called upon to offer their advice as the new timber floor was quite slippery. 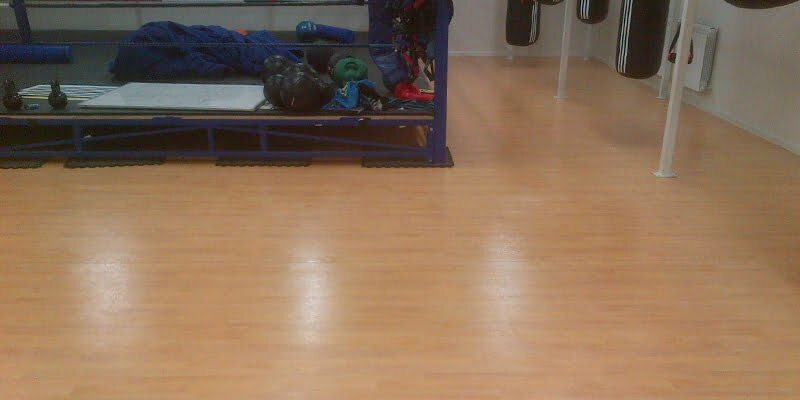 P Mac coated the floor with Dr. Schutz PU Sealer with grit, greatly increasing the slip resistance and giving the floor a beautiful satin finish. P Mac wishes continued success to Katie and all who train at the club!